A spokeswoman for the Xerox Corporation says problems with EBT cards across the country have been resolved. 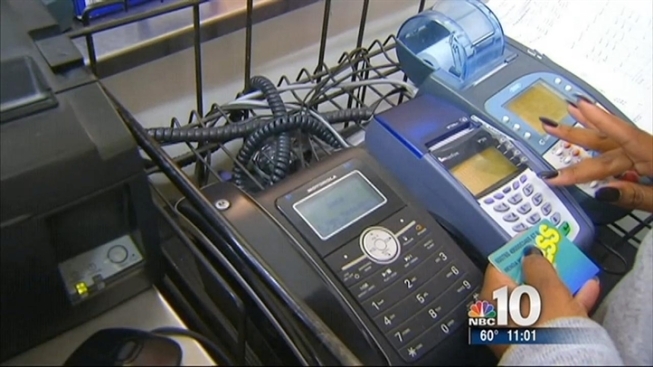 NBC10 received dozens of calls from both customers and store owners in Pennsylvania and New Jersey throughout the day that access cards were not working. But the problem was not only in our area. Customers all over the country took to Twitter to vent their frustrations with the system. Residents in 17 states, including New Jersey and Pennsylvania, felt the impact of a glitch that caused problems in the EBT system. NBC10's Na'eem Douglas has the details. Ben Johnson, a spokesman from the Ohio Department of Job and Family Services, said the issue was related to a technical problem at a Xerox facility. EBT cards in several states, including Pennsylvania and New Jersey, are powered by a company that Xerox owns called ACS, Inc.
"Xerox' cash and food assistance card payment systems went down at 11 a.m. this morning," Johnson said. 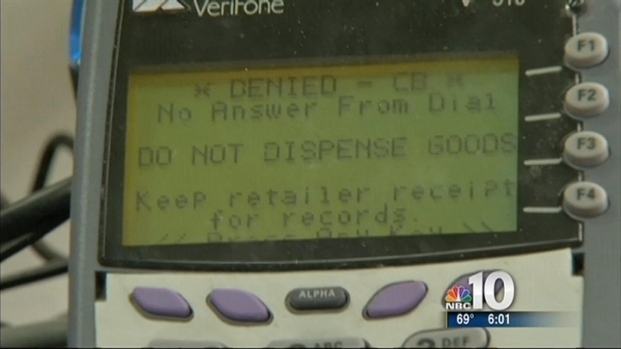 "The cash system has been fixed, however, the EBT card system is still down. Xerox has assured ODJFS they are working to fix the problem as quickly as possible. All states that use Xerox systems are affected by the outage." Jennifer A. Wasmer, director of PR Services for Xerox, says Xerox's Electronic Benefits Transfer (EBT) system experienced a temporary shutdown on Saturday during a routine test of their backup systems. "While the system is now up and running, beneficiaries in the 17 affected states continue to experience connectivity issues to access their benefits," Wasmer said. "This disruption impacts EBT beneficiaries who rely on the system for SNAP and WIC. Technical staff is addressing the issue and expect the system to be restored soon. Beneficiaries requiring access to their benefits can work with their local retailers who can activate an emergency voucher system where available." A spokesperson for the USDA also confirmed that the issue was not related to the government shutdown. "EBT cards in a number of states have temporarily stopped working today due to a technical issue that the vendor that serves these states is experiencing," the spokesperson said. "The vendor is working to fix this issue and EBT cards will work again once it is resolved. This issue is not related to the government shutdown." Around 10 p.m., Wasmer told NBC10 that the issues had been resolved. "Beneficiary access to programs such as SNAP, TANF, and other programs has been restored to the 17 States where Xerox provides EBT service," she wrote. "Re-starting the EBT system required time to ensure service was back at full functionality. Beneficiaries who required immediate access to their benefits could work with their local merchants who could activate an emergency voucher process where available. We appreciate our clients’ patience while we resolved this issue and apologize for any inconvenience. We realize that access to these benefits is important to families in the states we serve. We continue to investigate the cause of the issue so we can take steps to ensure a similar interruption does not re-occur."